Neema’s mother, who played football internationally. Neema and her young sister Kamila. 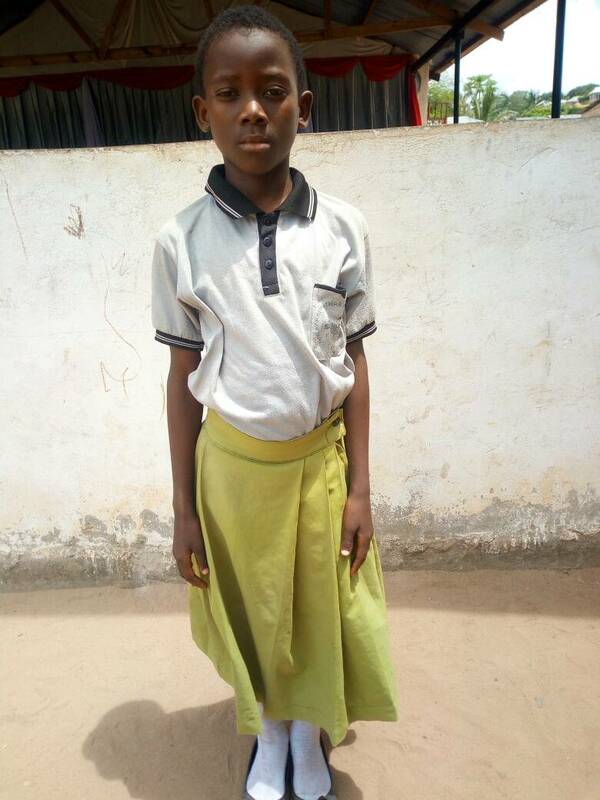 A friend in Mtwara offers this update on one of the children from the Compassion International Student Center where Missio members sponsor more than 100 children. 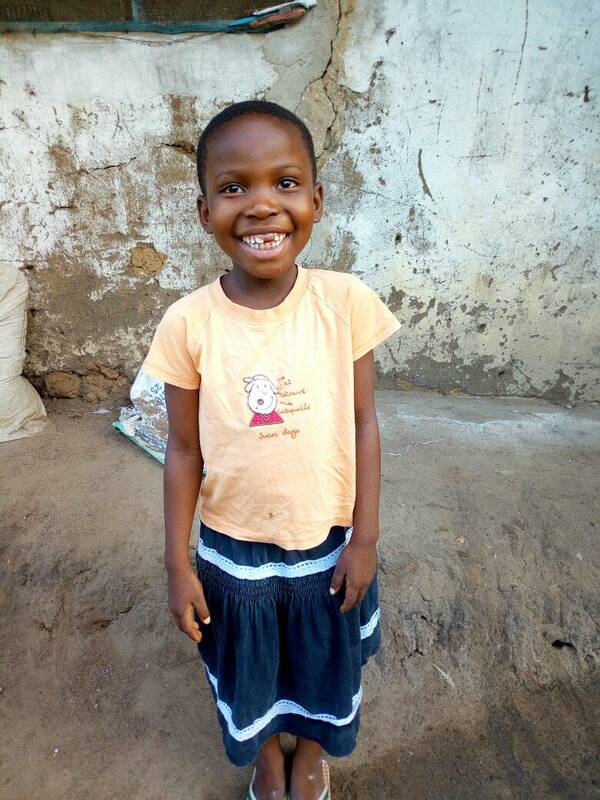 Neema is six years old. She lives with her parents and sleeps with her young sister Kamila. Neema is very bright in my class. She likes mathematics subject. She has a vision to be a pilot. She likes net ball. Her mother played football competitively and went to Europe with her women’s football team. He is Frank Boniface. He is eleven years old and is the second born in his family. The household members are four: his parents and two children. He has a dream to be an engineer of road construction. Her father making a chair. She is Asha Kuwala. She has ten years old. She is the only child to her parents. She is dreaming about being a nurse. English is her favorite subject. Her Father is a local carpenter who makes chairs. Her mother is a fish monger, taking fish from the docks, roasting them, and then selling. She is Fadhira Hussein. She is seven years old, and she likes chips as her best food. She's dreaming to be a doctor and she told me she will work hard to put her dream true. Her parents have three children and Fadhira is the second born. She's happy with their life, however there is not much good. Her father is a watchman of a shop, he works during the night. note: what we call french fries, she calls chips -- part of the British influence here. From the left is her step-mother, young brother, Sabrina, and her aunt Salma. She's Sabrina Mpatikene. She's in class three and she like biology. Her interest is to draw pictures and her favorite food is rice. She's living with her father and step-mother, however it is common for the step-mother to be cruel to the children but this is quite different, since her mother treats the whole children equal, and Sabrina is happy being a family member. In her family they are five, two children and one aunt who sleeps with Sabrina and her parents. Her vision is to be a teacher, however it can be dynamic since as the children grow the nature corrupts their dreams. I keep on praying for her for the goodness on her life. Gladness, her mother, her aunt, and young sisters. Gladness with her family, but her father and brother they were away when I visited them. In uniform at the Compassion Student Center. Her favorite subject is science and she hopes to become a nurse. Her mother has no job to do. Her father was a boda boda driver (motorcycle taxi.) Unfortunately he got into an accident and his legs broke up. Now somehow he is recovering and he is working as assistant tailor so that he can get something to feed his family. However her mother lamented with great grief saying that it is common to them to eat nothing during a lunch. Hearing that I felt merciful. Anyways I gave them what I had. Thank your for this chance. It made me communicate with the Director of the Compassion Center for more consideration to this needy family. 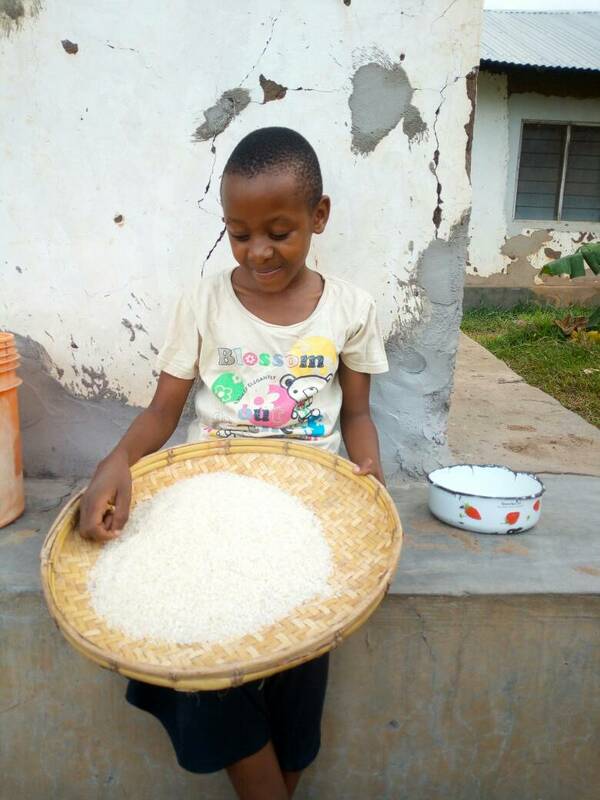 My comment to Gladness was that she has to study hard so to rescue her family. This is Anitha Family. Her parents from the left side and her young brother (Festo) at the midst. She is Anitha Fenias Linyama. Her family is Christian. She is nine year old and is the second born to her family. Her sister is in the village with her grandma and grandpa. Their house is built on a hill. Anitha have a dream of being a teacher. The distance from compassion to their home is one kilometer while the distance from her primary school to home is two kilometers and a half. Her parents are happy with the behavior portrayed by their daughter. The subject she likes most is mathematics. I advised her parents to keep her on track to reach her dream. Anitha's best friend is Waridi. Waridi with her sister and their grandmother. She is named Waridi Uwesu. She is the second born to her family. She sleeps with her young sister. She prefers eating rice. The subject she likes best is mathematics (hesabu) and for sure she is good with the subject. 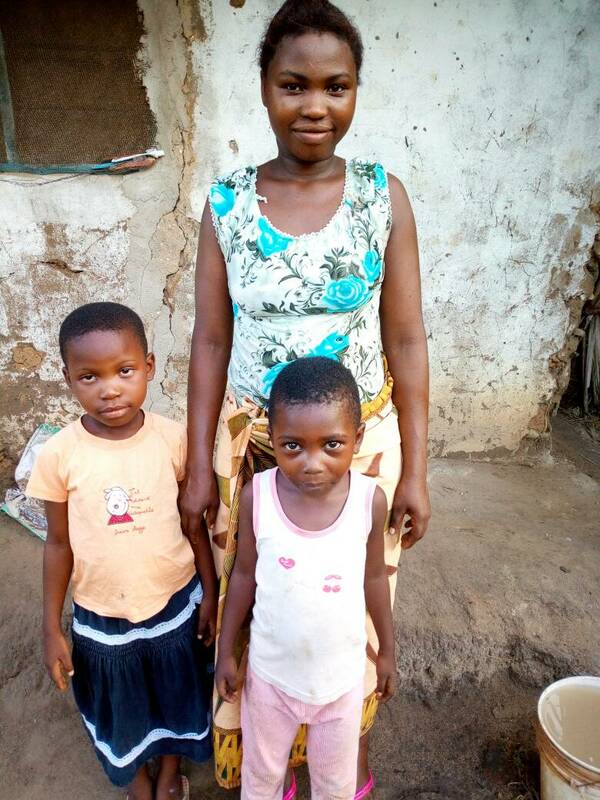 Her mother is a fish monger so she lives away from her children and Waridi lives with her grandmother. The distance from the Compassion Center to their home is one kilometer with high elevation. And the distance from her primary school to her house is three kilometers. Her best friend is Anitha Linyama. I learned many things about Waridi by visiting her home. Note - If you're wondering what life is like for a fish monger, our friend Daniel posted this snapshot from one part of the day for a few women selling fish in the market. This is Noshadi in front of his home. 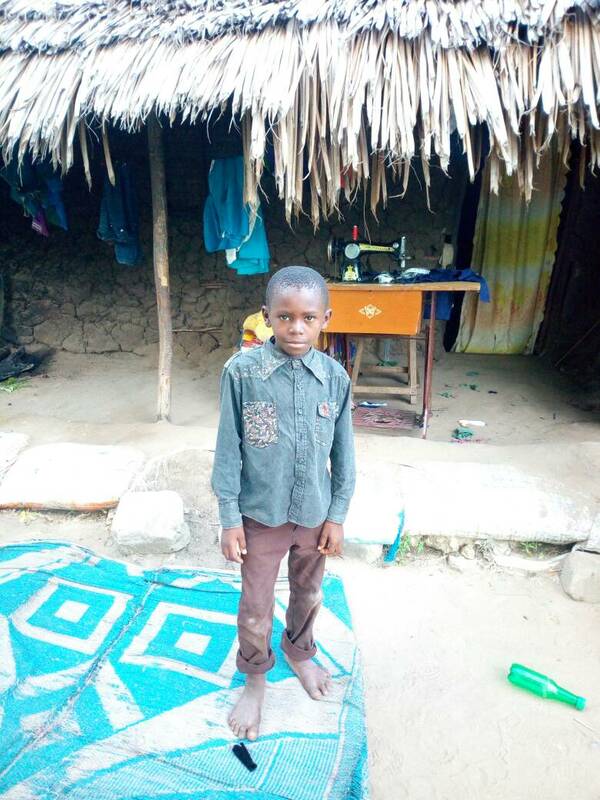 The sewing machine is treadle powered by his mother, a tailor. His name is Noshadi Ismail Manyereto. He is the first born to his mother and the third born to his father. He has a sister and brother from his step mother, and one young sister and brother from his mother. He is nine years old. His interest is to play football. He sleeps with his brother. His Father is a farmer who lives away from his family. 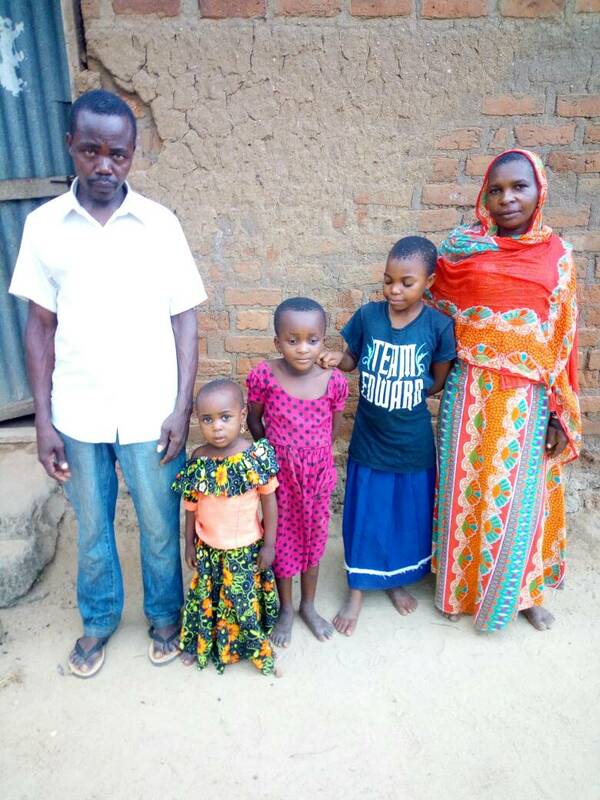 His mother is a tailor who carries the burden of caring for the whole family (extended family) without support from her husband. She was lamenting for that character portrayed from her husband. Noshadi is a good footballer among our students. He has attended several matches planned in our center. He likes making exercise through race competition. He is a Simba spectator. note: Noshadi is a fan of the Simba Sports Club, one of the two big football (soccer) clubs in Tanzania. And "Simba" really is the Kiswahili word for Lion. Yesterday the students went through their annual health screening. 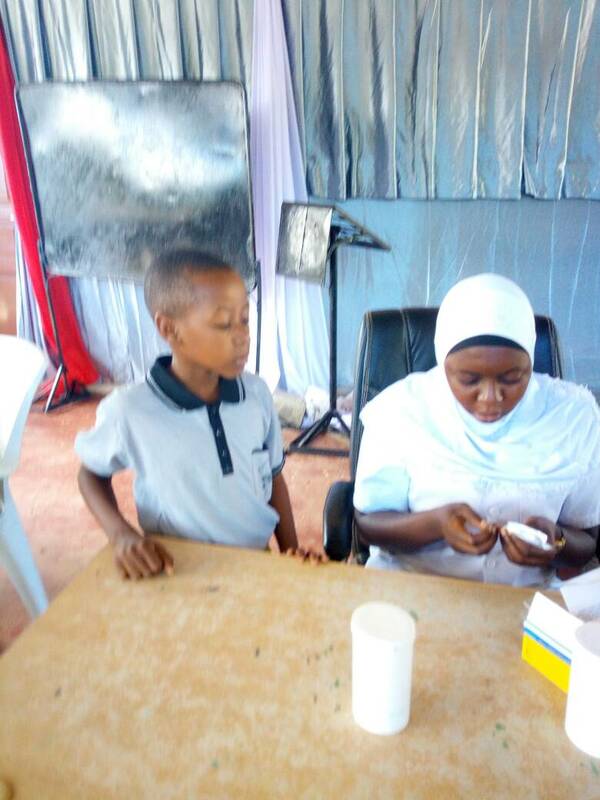 This is a general physical exam, height and weight to check for malnutrition, vision and hearing tests, blood test to screen for common problems and so on. Over decades of research Dr. Heck has arrived at a short list of essential screening tests for children in developing economies. 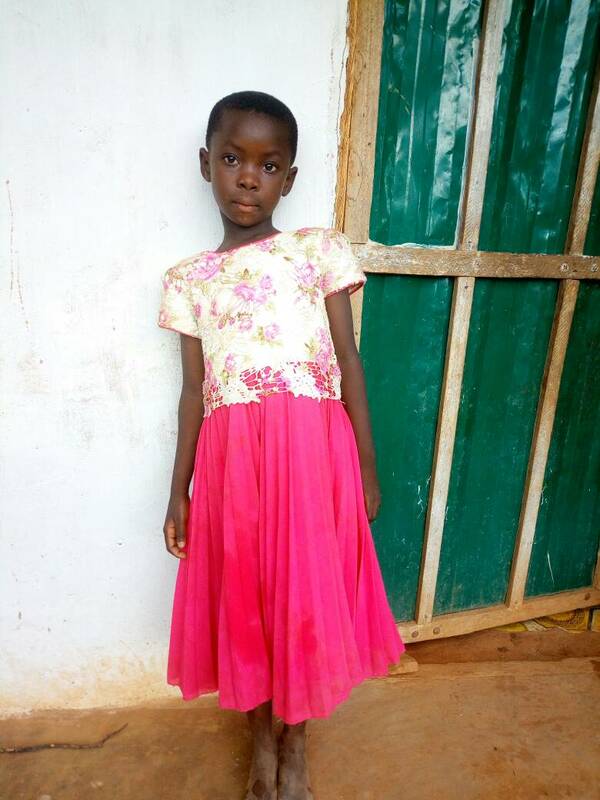 When we shared that list with Wema at the Compassion center, she showed us the chart of one of the children, demonstrating that they routinely administer all of these tests. Just one more way Compassion is an amazing organization. 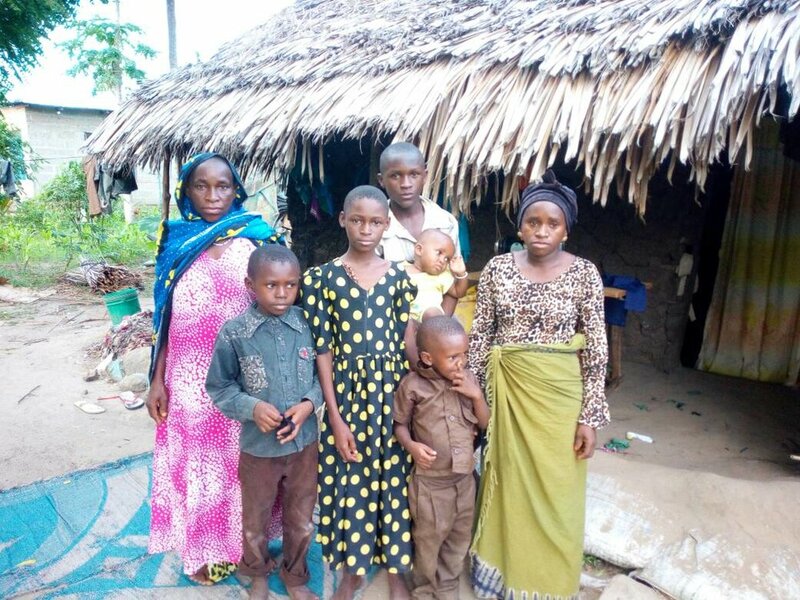 This post is part of our series on Work In Mtwara, to accompany the sermons on The Other Six. Photos above and narrative below by our friend Daniel, from his interview with Jordan. Jordan is working in timber production. He is an expert but works part time. 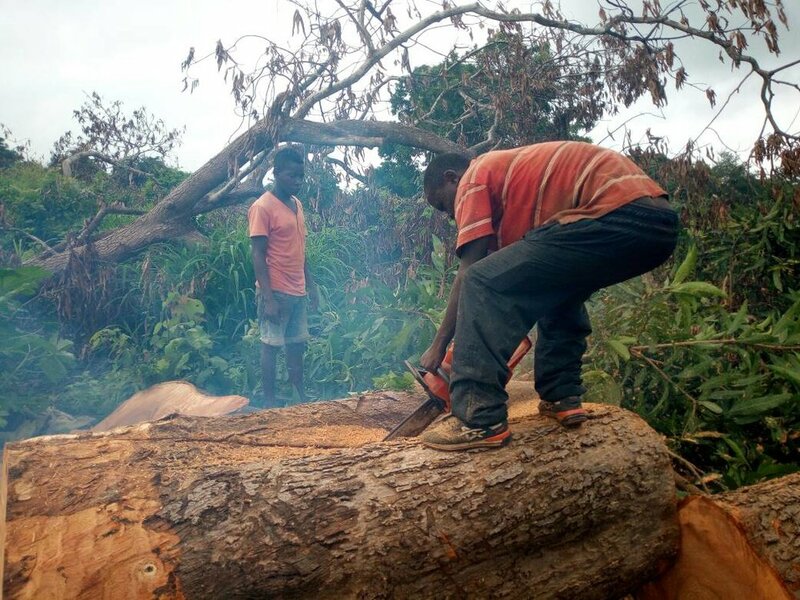 He is happy saying that here in Mtwara there are only a few people capable of producing timber with a chainsaw. He is not the owner of the chainsaw, but the boss who bought the tree rents the chainsaw to him. He carefully sharpens the saw to ensure clean cutting. The challenge is that there are few trees for timber production. This leads them to find any trees they can, even if they are not hard enough for timber, such as mango tree or coconut tree. They are forced to use these though they are not preferred. He mistook me for a government officer and asked me to please tell the government “we need to work. We need the government to bring varieties of trees for timber production.” He means, they need to hire an agriculture expert to research the best kind of trees to grow in Mtwara for use as timber. 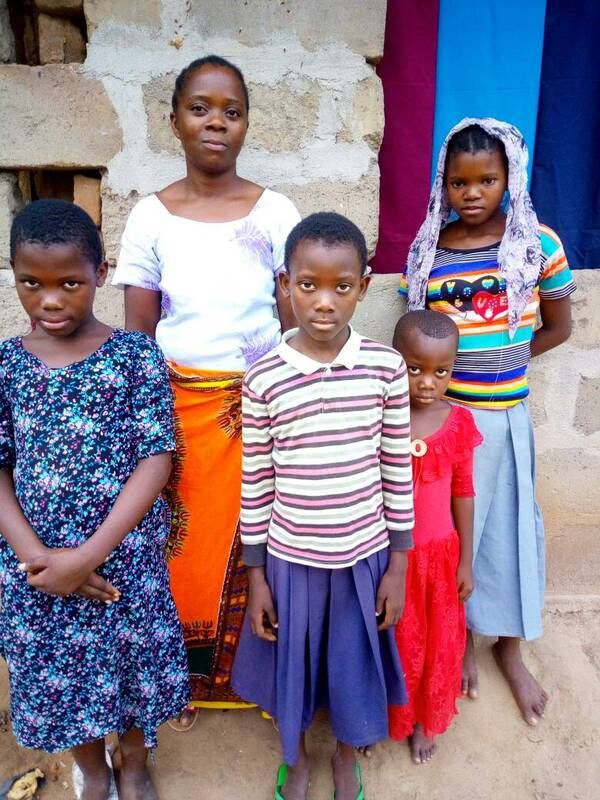 This post is part of our series on Work In Mtwara, to accompany the sermons on "The Other Six." Video above and narrative below by our friend Daniel, from his interview with Mzee. Mzee Ahmad is an entrepreneur with more than 15 years of experience. He is very happy and he is a charming trader who makes his neighbors happy. I asked him why he is happy and he said to me, "My grandson, I like jokes, my business pays, I am running my life without being dependent on anyone.” Again he mentioned many positive contributions which emanate from his business: he has built a good house and owns five acres which are planted with cashew trees (korosho). Almas and Joshua have been trained as mechanics by their brother who works about an hour north of Mtwara in the city of Lindi. Having many customers makes it possible for them to run their life here in Mtwara town. Here, their origin story doesn't begin with capital but with an investment of time from a brother willing to share marketable skills. Motorcycle taxis, called boda bodas, are the cheapest form of point-to-point transport. Their work keeps the boda bodas running, which enable many people to get things done. But in telling their story to Daniel, they emphasize it is their customers who make possible the lives they live. This picture is of James. He is working as a machinga (street vendor.) 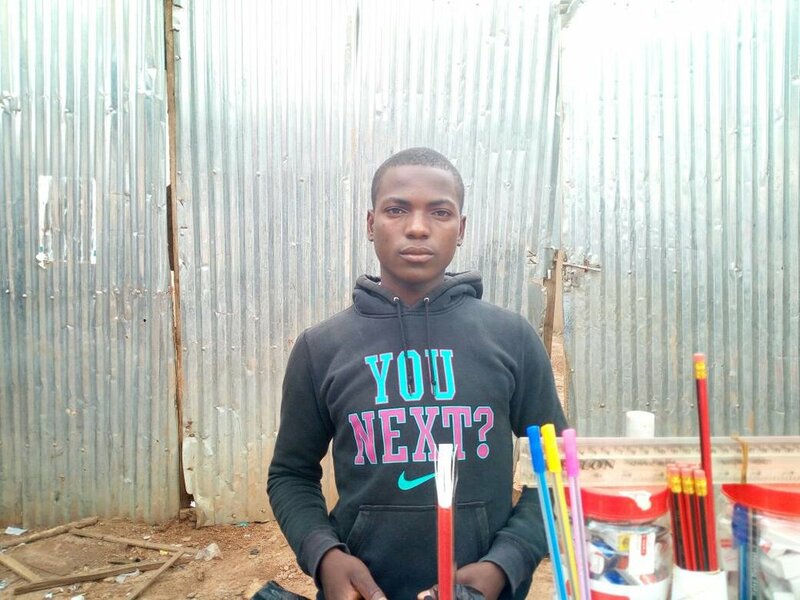 He got his capital from his Uncle and started this business long ago. The business of selling books is very important during the beginning of the school year. Many schools open on Monday (January 8) and many students need exercise books, pencil, pen. This is a good month to sell things for school. He is trying to get more capital so can expand and get a shop of his own. In other times of the year he sells clothes, mirrors, combs, handkerchiefs, dolls, watches and other commodities. In many of his interviews people share with Daniel 1) what they do, 2) where they got a little bit of money to get going, and 3) what they hope to do as soon as they can get a little more. In this economy, getting a job often requires starting a small business. I had a conversation with four women, dealing with fish selling. 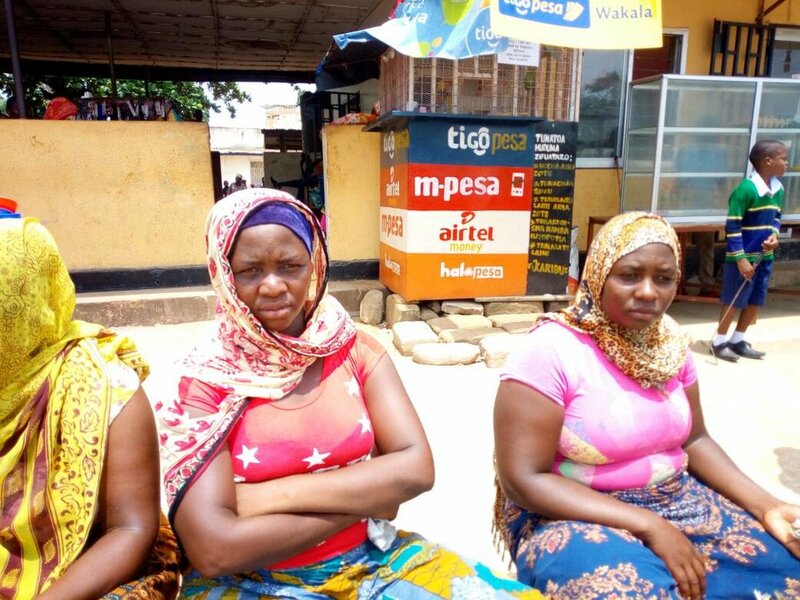 This is Halima, Sophia, Mwanagulani, and Subira. They buy from the fishmongers and prepare by removing the hard skin cover of the fish and roast in cooking oil. Then they put into basin ready for selling. Mtwara is a coastal city, and boats arrive each day with freshly caught fish. 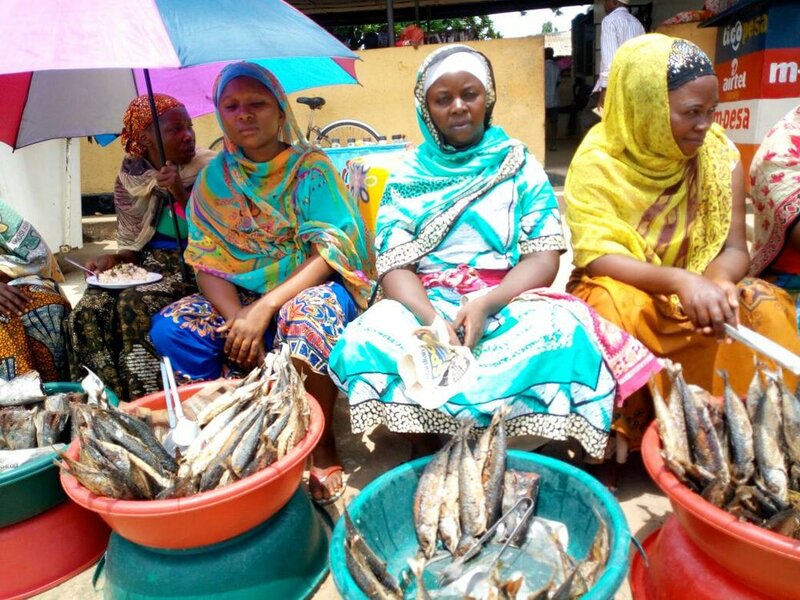 A few miles from Mtwara's big fish market, these women are selling cooked fish near the main bus station. The row of sellers in such bright fabrics reminds of the salt sellers in the Kenyan movie Queen of Katwe. I love that this brief video provides a glimpse of the community among the sellers, as well as a couple customers shopping for fish. The shoe salesman that comes by represents yet another part of retail commerce in Mtwara. Part of our Work in Mtwara, series in conjunction with our Faith & Work study: The Other Six. As Missio kicks off "The Other Six" a sermon series on Faith & Work, we are sharing a series of profiles on Work in Mtwara. 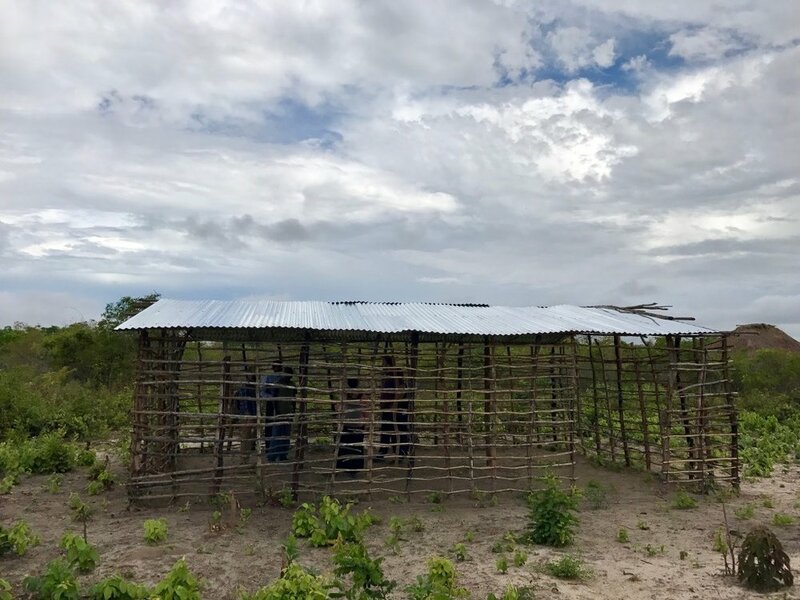 Daniel, one of our friends there, has gathered photos, videos, and interviews to help us better understand what life and work are like in Mtwara, Tanzania. Hi my friend. My name is Daniel. The person to whom I have sent you a picture, his name is Hassan and he is a builder. The owner of this guest house (hotel) is fixing it up. Hassan mixes the mortar out front, then he carries it in the bucket to the worksite. This toilet in the guest room drains here to the septic tank. He was hired to build the chamber for the toilets. Hassan is building to cover the pipes. This job will take him almost one week. Our next trip to Mtwara is set for June 12-21 (click HERE to learn more about this trip). Much preparation is going on right now; check out how you can get involved without needing to travel! On the June trip we hope to lay the foundation for a future Medical trip to Mtwara. Part of laying that foundation is getting a sense of the current medical services in the area. We’re not the first to have this question and it appears to my uneducated eyes that there are relevant journal articles available sharing the results of recent efforts to understand this region. We are looking for someone with the ability to conduct a lit review of medical journal articles to help our doctors, nurses, and PAs better understand conditions in this region. The cornerstone of our June trip is hosting workshops with the Nehemiah Project on starting businesses. 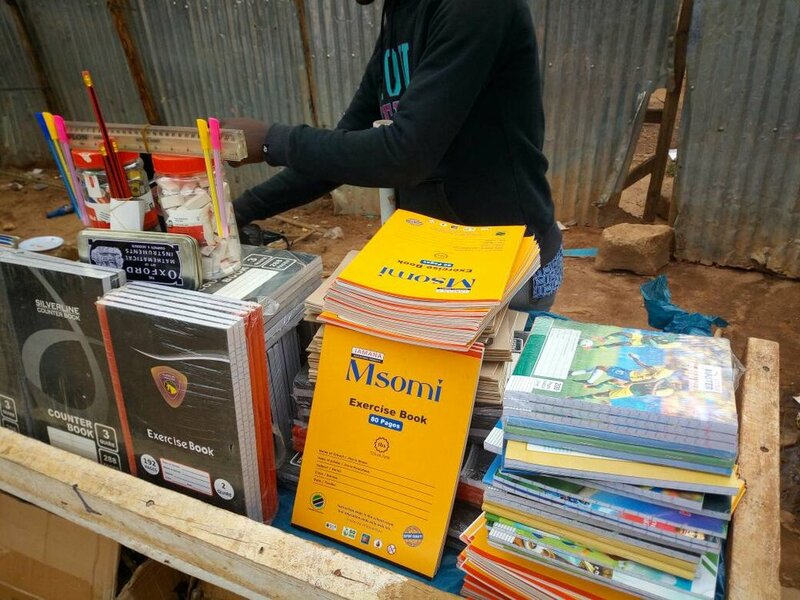 The workshops make extensive use of workbooks which we have been working to get translated into Swahili. These workbooks have graphics which need to be redesigned with Swahili text. We need help with graphics ranging from flowchart style illustrations to icons to a cover. Moris is one of the business owners we are encouraging in Mtwara. He currently runs a shop selling carvings which he buys from craftsmen in surrounding villages. He’d like to expand that business to help tourists see the best of his region. This tour business could benefit from a stronger web presence, some Search Engine Optimization (SEO), and clear offering of services. A few of these we can take with us (e.g. pinnies) but the rest we should buy there if possible. In addition to helping us meet these needs, you can give financially. You can give by cash, check or online by designating your gifts to "Global Missions". Any monetary gifts designated “global missions” in the month of May will go straight to a small budget to help Wema purchase these things while we are there. For more information about how you can help or to volunteer for these things, please email David Lindrum. We’re booked! Sabrina McDonald, Thomson Meeks and David Lindrum are heading to Mtwara June 12-22, 2017. Provide the center with some tangible sign of our love and support for them. Visit the Compassion center on a Saturday to see it in full-swing, something we couldn’t see last time. Find Swahili books for the pastors while in Dar Es Salaam. Worship with Pastor Sylvester’s church. Lay the foundation for a potential medical trip from Missio in December. Connect with Benjamin in the village to learn if and how MDC could best assist in evangelism. Visit with the translators helping us and look for ways to strengthen and streamline the process. Meet with community leaders to encourage connecting business people and sharing success stories. If you’re interested in supporting any of these efforts, or have questions we might be able to get answered while there, please contact David Lindrum. The word we heard most often is "karibu" which means "welcome." Thank you all for your prayers, and for your generous support of this trip. We were blessed from start to finish, are still overwhelmed by all we saw and experience, but want to share a few highlights with you. Strengthen our relationship with the Student Center we support through Compassion International. Build relationships with local pastors to understand and meet any needs for ministry training. Investigate the possibility of bringing the gospel to an unreached people group (<2% Christian) just outside Mtwara. For the health and safety of team members - David Lindrum, Dillon Ramsey, Bryan Robbins, and Megan Trasport. For clear answers to questions like, "How can we help well, without harming?" For the people and resources needed to: train pastors, plant churches, grow Compassion’s footprint, improve the culture and economy. All were answered above and beyond. No illness or injury. Daily guidance from the Spirit revealing opportunities we suspected as well as some complete surprises, such as pastors eagerly seeking training for their congregations in starting and running small businesses. We spent hours with the Compassion staff and the pastors of the local church that runs the center; time which we wouldn’t have had without a series of unlikely events making it possible. We believe our Compassion kids felt loved and they had a fabulous time walking along the beach and having lunch at a fancy hotel. Exploring the tide pools near the thatch roof restaurant at the NAF Beach Hotel. We met with pastors from about half of the 20 Christian churches in Mtwara, from multiple denominations. They are most interested in training in how to share good news in a Muslim culture and developing leaders for planting new churches. Most of the meetings were translated in real time by Athanas Mtukwe, a recently retired professor from the Agricultural college. Brian and Mtukwe leading the conversation about ministry successes and challenges. At one point, when we were not officially meeting, I overheard two of the pastors talking in Swahli. The only words I was able to pick out were “Psalm 133” so I looked it up: “How good and pleasant it is when God’s people live together in unity.” This was one of many moments of great encouragement for me. Our trip to Masasi did NOT come together. Instead, we felt led to the village of Nanguruwe where Pastor Benjamin has just planted a church. There are now 15 Christians in this village of 12,000. Pastor Benjamin's church in the village of Nanguruwe. Only Benjamin and Prisca, his wife, owned Bibles. Dillon’s grandmother had given him $200 to spend on Bibles in Tanzania. Finding Bibles for sale was a challenge but with the help of Pastor Frank we were able to buy 18 Bibles, cleaning out the stock of a Lutheran church’s bookstore, which cost exactly $200. Fifteen of those are on their way to Nangaruwe with the overflow going to the pastors helping us get them there. Pastor Frank helps Dillon purchase Bibles to send to Nanguruwe. A handful of needs emerged for training pastors, planting churches, growing Compassion’s presence, improving the culture and strengthening the economy. In a beautiful simplification, we came away with just a few strategies to pursue our many goals. For example: training pastors will grow churches and churches are the way Compassion serves communities. Providing training in starting small businesses to members of congregations is a way to build the church, fund more church plants, improve the economy, and enable Christians to serve across cultures. And through all the twists and turns, strangeness and sweating, struggles to understand and be understood, and long, long travel days, our team of four grew rapidly closer with each other and with those we sought to serve. One of the strangest aspects of this trip was the gratitude expressed to us by those who helped us the most. We can’t do what Compassion is doing, what Sylvester, Frank, or Benjamin are doing, nor what Brian Weaver can do. And yet, they saw us and the church we represent as an important part of enabling them to do their work. What a blessing it is to be part of a body, to belong to the King and enabled to do something much bigger than what any of us could do individually. Pastor Sylvester, his wife Paulina, and two of their children Dorcas and Lameck. The most amazing part of this trip was seeing God’s hand in everything we were pursuing. We see real work to be done there and while we’re unlikely to be the lead on any of it. We are eager to play a supportive role in connecting other parts of the body to each other and fanning the flames on each return trip. Perhaps my biggest takeaway is that God’s mission is being pursued everywhere: the things we most want to see happen in Mtwara, we also want to see happen in Asheville. I believe we can and should help the people building the church in Mtwara. And likewise, we can and should pursue the kingdom here and now. Thank you for your prayers and for enabling this experience of protection, provision, and participation in the spread of the kingdom! Tanzania is on the East Coast of Africa, and Mtwara sits right on the beach with the sun rising each day out of the Indian ocean. Mtwara is as far south as you can go in Tanzania before getting into Mozambique. Mtwara grew up around a bay and is still home to many commercial fishermen. 7-8 Hour Time Difference – Each day dawns in Mtwara 8 hours before here (7 when we are not on daylight savings time.) So when these slides were first presented at 10:00am in Asheville, it was 6:00pm in Mtwara. See Lake Victoria? Those two long skinny lakes (Lake Tanganyika and Lake Malawi) also form part of the border of Tanzania. I used the think "sub-saharan" meant desert. Quite the opposite. It means "south of the Sahara." Mtwara gets about 45" of rain a year, which is exactly how much Asheville gets on average. But in Tanzania it falls almost entirely during two rainy seasons – fall and spring – with winter and summer being much drier. Lots of green in Tanzania. Daily temperatures are quite consistent in Tanzania. It's similar to summer in Asheville, all year long. Their coolest months are during Asheville's summer because Tanzania is (just slightly) south of the equator. The equator doesn't pass through Tanzania, but it comes very close. So what is it like in Mtwara? This still from a video on YouTube is typical of the photos we are finding. We'll know a lot more after the trip this December!